Check out this index of Paleo bread recipes. Bread has got to be at the top of most people’s list of things they miss on the Paleo diet. So if you are attracted to any of the recipes below you should try them. They are all bread recipes which are allowed on the Paleo diet. Is Paleo bread the same as gluten free? One of the main criteria of a Paleo diet is that it has to be gluten-free. So to answer the question, Paleo bread is gluten free but it is also dairy-free and contains no processed sugar. So it may be made with honey or maple syrup instead of sugar. Paleo foods also have to be real food or clean eating which as basically the same thing. If you don’t care that a bread recipe is Paleo and you just want it to be gluten-free go to my other website called glutenfreedaddy.com. If you want a bread recipe that is Paleo then stay right here and check out my recipes below. Sourdough is made with a starter instead of yeast or some other agent to make it rise like soda or baking powder is a cake. It is possible to find a sourdough bread recipe that is Paleo. They aren’t real common and difficult to find a good one. I found one that is a Keto sourdough baguette recipe that you might like. This recipe is also Paleo. The Keto diet is very similar to Paleo but without any sweeteners. If you want other Paleo sourdough bread recipes just google it and see what you get. Can you eat any bread on the Paleo diet? Absolutely! 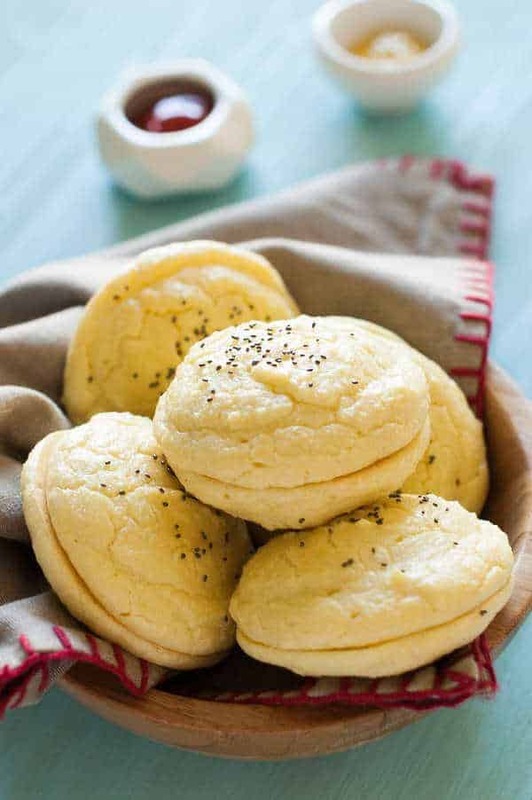 The bread which is allowed on the Paleo diet is with wheat flours but there are tons of recipes for bread that are Paleo. They are made with other flours such as almond flour, coconut flour, cassava flour. There is a relatively new flour called Paleo flour which is a combination of about 3 flours that I think is excellent. What does Paleo bread have in it? It is made with gluten-free flours like I mentioned just above. They are usually made with honey in place of sugar but other than that they are pretty normal. Look at some of my recipes below and you can see exactly what they are made with. Is Ezekiel bread on the Paleo diet? Ezekiel bread is made with sprouted grains. No grains are allowed on the Paleo diet. A person that follows a strict Paleo diet with not eat Ezekiel bread. However, some people that don’t follow a strict Paleo diet may allow Ezekiel bread in their diet on a limited basis. So obviously we are going to start this list of recipes with double chocolate. The recipe uses banana, cocoa powder, and almond flour as the base for the batter and then has chocolate chunks and almond butter drizzled on top to compliment the chocolatey gooeyness. Two of my favorite types of bread are carrot cake and banana bread combined in one recipe! This recipe is naturally sweetened by the bananas only which is great because they are good for you and taste good! This recipe is also thrown into a blender and mixed for a simple easy process of creating the batter and then you simply put in a pan to bake in the oven. This recipe uses some healthy ingredient substitutions like almond flour instead of all-purpose flour and honey as a more natural sweetener. If you are looking for a bread similar to the traditional loaf this might be a good recipe for you to give a try and see if you like it. I absolutely love to use my instant pot for as many things as possible it is convenient because of how quick and simple it is to use. It is hard to remember before I started to use an Instant Pot. I use it for a lot of food now. I am always looking for new things to cook in it, I have never tried to make bread in it. I included this recipe because it has clean ingredients and I thought some of you would be interested in a Instant Pot recipe like me. I have included another recipe with only a few necessary ingredients letting the natural ingredients shine without adding a bunch of unnecessary ingredients. This recipe does not have additional ingredients like chocolate or almond butter. This is a good one if you want a recipe close to a traditional recipe! This banana bread also has blueberries included. What a fun combination! I love both blueberries and bananas and so I was excited to find a good recipe that has both bananas and blueberries combined in bread. This recipe also uses maple syrup as a natural sweetener. I love the flavor of using maple syrup in recipes and it is one of my common ingredients to use to avoid refined sugars. This bread recipe is made with coconut flour, arrowroot flour, and coconut milk. The texture is cake-like and is moist. This recipe also doesn’t use any sweeteners which are even better than adding honey or maple syrup. The sweetness of the banana really shines in this breafd and makes it possible to do so. Here is another recipe that is supposed to taste close to how traditional banana bread tastes. It uses almond flour and coconut flour, and coconut flour really soaks in liquids which part of the reason why it calls for several eggs. This loaf would be great for breakfast with some butter or jam spread on it. 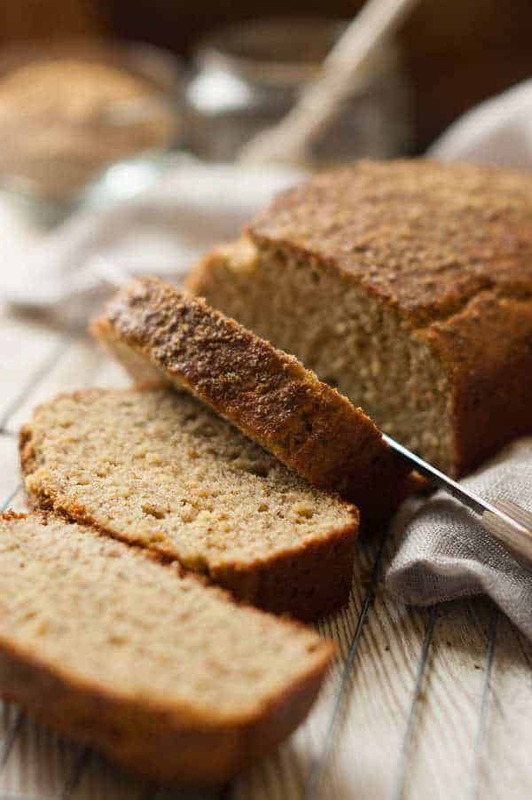 The last recipe we have on the list today for you is a healthy banana bread that also uses both almond flour and coconut flour. The recipe also calls for honey and applesauce as natural sweeteners. I love to use applesauce as a healthy substitute for oil. The bread is still moist and adds flavor to the recipe.